Aussie English | Listen Free on Castbox. G’day and welcome to the Aussie English podcast. I’m Pete Smissen and my objective here is to teach you guys the English spoken down under. Whether you plan to travel, to work or to live in Australia or you just have an interest in our culture, history and spoken dialect of English. And whether you aim to speak English like a true blue Aussie or you just want to be able to understand “what the flippin’ hell we’re on about when we’re havin’ a yarn”. •	And a bunch about Australian history and culture. So kick back, grab a cuppa and enjoy Aussie English! Learn Australian English in this interview episode of the Aussie English Podcast where I talk with Nick Bean about savings wombats with mange one at a time. 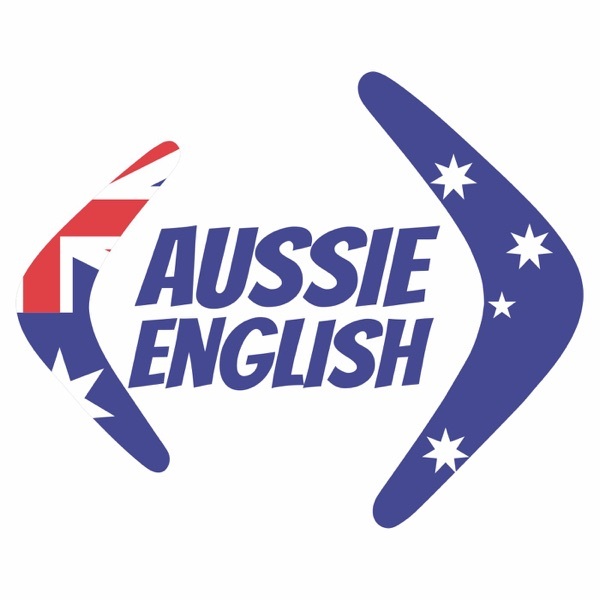 Learn Australian English in this expression episode of the Aussie English Podcast where I teach you how to use BENT OUT OF SHAPE like a native. In this interview episode of the Aussie English Podcast I talk with Lindie Botes about how a polyglot learns languages living abroad. Learn Australian English in this episode of the Aussie English Podcast where Pete & Kel talk about babies & pizza. Learn Australian English in this expression episode of the Aussie English Podcast where I teach you to use the expression THE PENNY DROPS. In this interview episode of the Aussie English Podcast I chat with Aiko Hemingway about moving from Japan to Hawaii and starting an English Podcast. Learn Australian English in this expression episode of the Aussie English Podcast where I teach you how to use the expression DONE AND DUSTED like a native speaker. Learn Australian English in this Walking With Pete episode of the Aussie English Podcast where I talk about my latest news. Learn Australian English in this expression episode of the Aussie English Podcast where I teach you how to use the expression TAKE SOMEONE DOWN A NOTCH OR TWO. awesome episode, thank you guys, you're the best ! Gary the goat 🤣. Loved listening to him and his accent.